These conditions set out the rights and obligations of you and Huatai Financial Holdings (Hong Kong) Limited (“Huatai HK”) in connection with your use of this Website. By accessing this Website, you are agreeing to be bound by these conditions. Unauthorized use of the web sites and systems of Huatai HK including but not limited to unauthorized entry into Huatai HK’s systems, misuse of passwords, or misuse of any information posted on a site is strictly prohibited. (a) Under no circumstances shall Huatai HK be liable for any failure of performance, system, server or connection failure, error, omission, interruption, breach of security, computer virus, malicious code, corruption, delay in operation or transmission, transmission error or unavailability of access in connection with your accessing this Website and/or using the online services even if Huatai HK had been advised as to the possibility. (c) You have sole responsibility for adequate protection and back up of data and/or equipment and for undertaking reasonable and appropriate precautions to scan for computer viruses or other destructive properties. 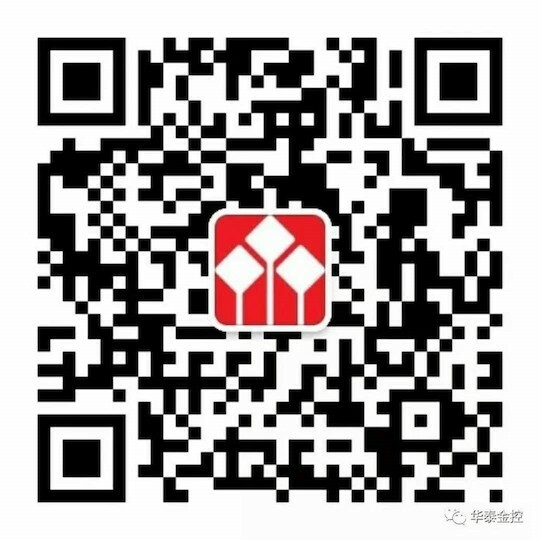 Huatai HK will not make representations or warranties regarding the accuracy, functionality or performance of any third party software that may be used in connection with this Website. Huatai HK accept no liability (express or implied) for any damages, loss or other liability whatsoever or any consequential, incidental or special damages (including but not limited to any loss of profits or loss of savings), as a result of your acceptance and/or use of this Website or products or services provided or reliance on any information or material available or opinion appearing on this Website (save only where otherwise specifically provided for in the terms and conditions applicable to such products or services), whether or not we (or any third party) has been advised of the possibility of such damages. All title, copyrights and other intellectual property rights in and to this Website and its content are owned by Huatai HK or by the respective content owners and are protected by applicable copyright and other intellectual property laws. In relation to any information or materials which you submit to Huatai HK using this Website, you hereby grant to Huatai HK a worldwide royalty-free perpetual license of the copyright and intellectual property rights in such information or materials for any purpose as Huatai HK may deem fit including, without limitation, the copying, transmission, distribution and publication thereof, unless restricted by applicable law. You will on demand indemnify, hold harmless and defend Huatai HK against any actions, claims, other liabilities and all costs suffered or incurred as a result of your use of this Website, including but not limited to the breach of any or all of these conditions of use (save only where otherwise specifically provided for in the terms and conditions applicable to particular products or services) or applicable laws and regulations. The information and materials contained in or accessed through this Website shall not be considered or construed as an offer or solicitation to sell, buy or otherwise deal in or as the giving of any advice in respect of shares, stocks, bonds, notes, interests, unit trusts, mutual funds or other securities, investments, loans, advances, credits or deposits in any jurisdiction. By proceeding to read this information you are agreeing that you do not reside in, or are not proposing to purchase or subscribe for any products or using any services from, any jurisdiction outside HKSAR. Products and services are available only at the discretion of Huatai HK, subject to the individual terms and conditions on which they are offered and such products and services may be withdrawn or amended at any time without notice. Fees, commissions or other charges may apply to certain products or services – Huatai HK can provide details on request. The information contained in this Website is not intended to provide professional advice and should not be so relied upon. Persons accessing these pages are advised to obtain appropriate professional advice when necessary. Investment involves risk. The price of investment products can and does fluctuate, and any individual investment product may experience upward or downward movements, and may even become valueless. There is an inherent risk that losses may be incurred rather than profit made as a result of buying and selling investment products. The risk of loss in margin trading can be substantial. In some circumstances, you may sustain losses in excess of your initial margin funds. Placing contingent orders, such as "stop-loss" or "stop-limit" orders, will not necessarily achieve the desired results. Market conditions may make it impossible to execute such orders. You are required to deposit additional margin funds without any demand or notice from Huatai HK if the market value of the margin funds is at or below the margin call level. If the required funds are not provided within the prescribed time, your position may be liquidated. You will remain liable for any resulting deficit in your account. You should therefore study and understand the investment products before your trading and carefully consider whether such trading is suitable in the light of your own financial position and investment objectives. Huatai HK reserves the right in its sole and absolute discretion to change without prior warning or notice of any information or material contained in this Website, as well as these conditions of use in relation to this Website. To assist in our understanding of your interest in our websites and applications, and to store and maintain user preferences, Huatai HK [works with professional digital analytic solution providers to help us] record[s] and research certain usages and activities on parts of our websites and applications. We will only collect information about how you use a computer, mobile phone or any other electronic device (together referred to here as a "device") that takes you online to browse our websites and applications by using cookies and similar technologies. Currently we do not provide functions to opt out cookie tracking. The reason is all opt out settings for cookies tracking will become invalid if you delete or clear your cookies, or if you change the web browser you are using. To avoid confusion, if you do not want us to collect data from your browser, we suggest you configure your privacy settings within the browser. Please note that if you block all cookies entirely, Huatai HK websites and applications may not function properly. You agree that Huatai HK shall not be under any obligation of confidentiality to you regarding any such information or materials submitted to Huatai HK using this Website unless agreed otherwise in a separate direct contract between you and Huatai HK or required by law.